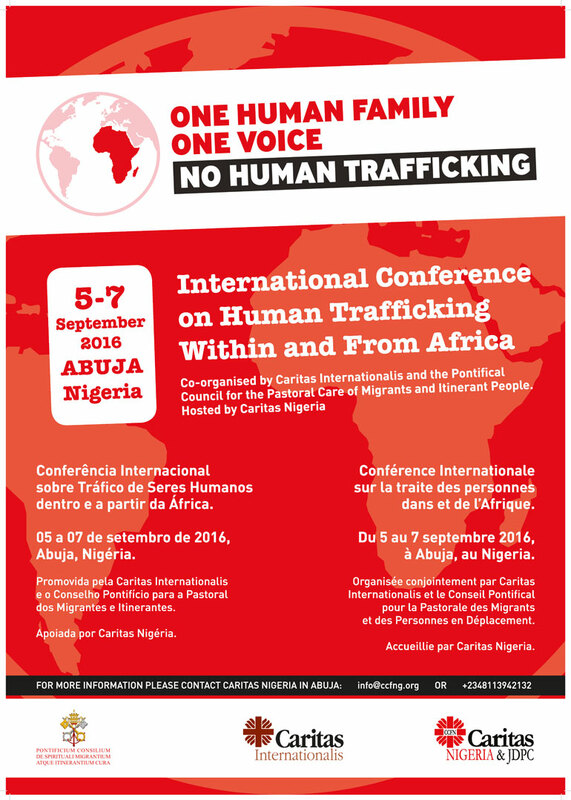 Caritas Internationalis (CI) and the Pontifical Council for the Pastoral Care of Migrants and Itinerant People will co-organize an international conference on human trafficking within and from Africa, in Abuja, Nigeria, from 5-7th September 2016, hosted by Caritas Nigeria. 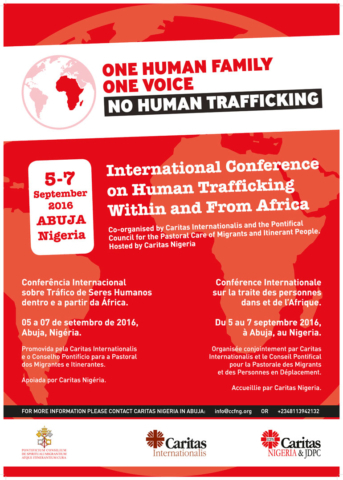 The conference will gather Caritas organisations, African bishops conferences and religious orders, Christian and other faiths organizations, NGOs, international organizations and anyone committed to fighting trafficking in Africa and beyond. Read media advisory on the conference. Caritas urges increased protection for people trafficking war and emergencies on World Day of Trafficking in Persons. 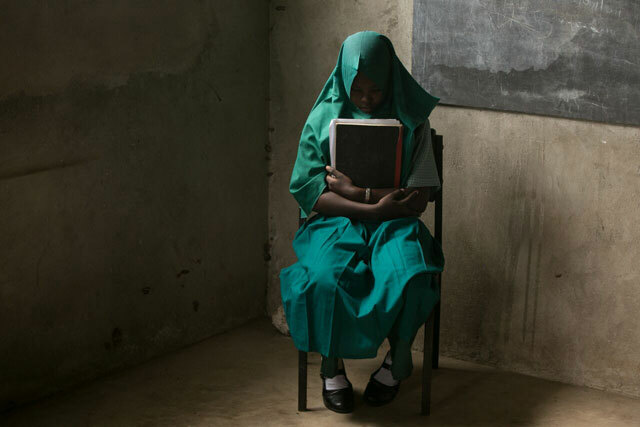 Trafficking in Human Beings in Conflict and Post-Conflict Situations (Read report by Secours Catholique-Caritas France). Pope Francis’ World Day of Peace 2015 message: No longer slaves, but brothers and sisters.